It’s the start of another year, which means you’re probably back in the office after vacation, hard at work on your New Year’s resolution. And if you’re a marketer, you may also be fine-tuning your strategic plan for success in 2017. We have a variety of resources for getting your marketing plan organized for the upcoming year — between the 2017 marketing strategy kit, the social media content calendar, and the blog editorial calendar, we’ve got your content marketing strategy covered. But before you finalize your social media strategy for the year, it’s important to look at what’s ahead to ensure that you’re allocating your time and efforts appropriately. In this blog post, we’ll dive into what happened in 2016, what we think social media managers should expect in 2017, and how to plan for these changes. 1) Live video content will become even bigger. Live video content is on the rise — in fact, 14% of marketers experimented with it in 2016, according to Social Media Examiner, and 43% plan to use interactive video this year, according to new survey data from Wyzowl. While there are a ton of streaming sites and platforms out there, both Periscope and Facebook Live are among the most popular — and they have the numbers to prove it. In addition to Facebook Live and Periscope, Instagram and Twitter launched their versions of live video streaming in November and December 2016, respectively. 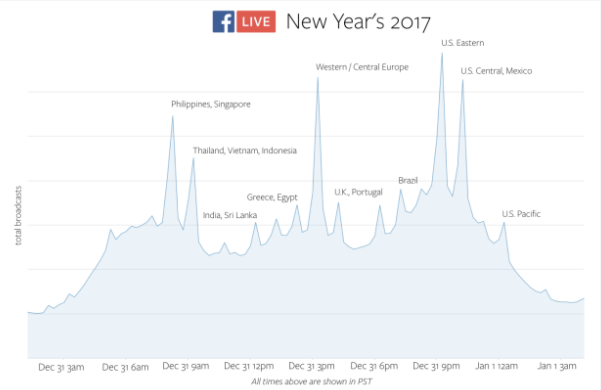 So where should you be planning to focus your live streaming efforts in 2017? Good question. First and foremost, you’ll want to consider where your audience already spends time on social media — and try to connect with them on those networks. As for what to broadcast, there are a lot of brands out there that are nailing this strategy across several use cases. For example, many brands are using Facebook, Instagram, and Twitter to live stream events. This approach aims to keep your followers engaged with your brand by bringing an event they otherwise might not be able to attend directly to their screens. Brands can also use live video for customer service by hosting Q&A sessions and product demonstrations. These videos drive engagement because hosts can ask for comments, questions, and feedback from the audience. This year, keep an eye out for new features rolling out to the different live streaming platforms to amp up your video strategy. For example, Facebook Live is launching 360-degree capabilities, which would be a neat way to record a crowded event, a beautiful landscape, or a behind-the-scenes tour. 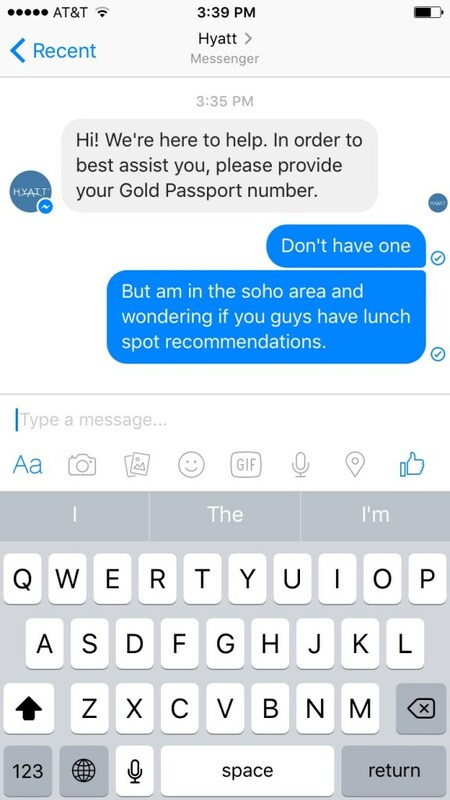 2) Brands will lean on messaging apps more than ever. If you’re only thinking about messaging apps such as Facebook Messenger, WhatsApp, and WeChat as alternatives to traditional text messaging, think again — messaging apps are used by 4 billion users worldwide, and there’s tremendous opportunity for brands to leverage this presence. More specifically, many brands are using messaging apps to communicate one-on-one with customers, which is completely changing the way customer service gets done. These apps provide a faster and easier way for customers to get the assistance they need, rather than being placed on hold or waiting for a returned email. Deploying messaging for customer service is more scalable and cost-effective for businesses, and by providing a better experience for the customer, brands can solve their problems quickly and retain them more easily. So far, Anderson’s theory is well-supported by the stats: A quarter of all apps that are downloaded are abandoned after just one use — except for messaging apps. In 2017 and beyond, marketers should anticipate less social networking and more messaging for instant, real-time connection with audiences. 3) Social media ecommerce will become a powerful avenue for sales. According to a survey from Aimia, 56% of consumers said they followed brands on social media to browse products for sale, and 31% of online shoppers say they’re using social media specifically to look for new items to purchase. Brands should leverage these shopping habits when thinking about their social media strategy for 2017. People come to social media to interact with interesting content, so instead of sharing a photo of a product on Instagram with a “Buy Now” call-to-action, share gift ideas and product trends (24% and 16% of survey respondents relied on social media for these, respectively) and encourage online shopping without directly asking for it. 4) Virtual reality will find its way into more and more marketing experiences. Virtual reality is still new to the marketing scene, and in 2017, we predict the market will get even more popular. What’s unique about virtual reality is that it encourages engagement by offering an immersive, memorable experience unlike any other medium — and brands are quickly recognizing that value. What’s so great about this video is how transportative it is. Most customers might not be planning a trip to Peru, but all of them can see the direct impact of their purchase. The experience is improved when they use a VR headset or viewer, but the video is still viewable on mobile or desktop devices, so the brand can effectively share its story. This year, video streaming will represent almost 75% of all internet traffic, and since audiences want more video content, brands should continue experimenting with different formats — including virtual reality — to see which audiences respond best to. 5) Ephemeral content will continue to find its place and purpose. HubSpot Social Media Marketing Manager Marissa Emanuele artfully coined the term “Frankenfeatures,” which are born when a social media platform launches its own version of another platform’s successful feature. One example? Snapchat started the ephemeral, or disappearing, visual content sharing trend, and Instagram recently launched a similar disappearing video feature — but with the ability to share live ephemeral video, too. “The most important part of ephemeral content is to be human. 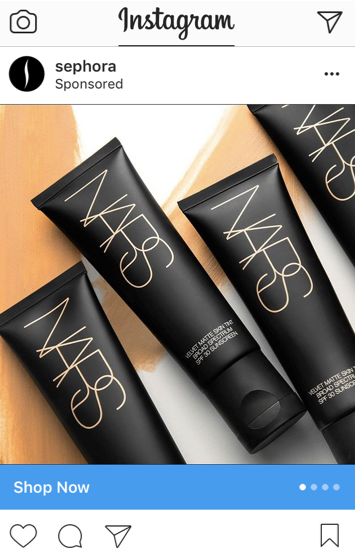 This is a unique opportunity to show an unpolished, lighthearted side to your brand, so don’t be afraid to share content that’s humorous or otherwise ‘flawed’ in some way,” urges Emanuele. 6) Many brands will make the shift from Snapchat to Instagram for Stories. BrandFire CEO Adam Padilla agrees with Emanuele’s prediction, also noting the adoption of Instagram by a larger number of celebrities and public figures, and a slicker Instagram interface. Despite its rapid growth and sheer volume of content being shared, Snapchat offers fewer means of measurement and analysis for social media marketers, so Instagram may offer greater ROI in 2017. 7) Mobile advertising will grow more competitive. Facebook is the behemoth when it comes to social media ad revenues, bringing in more than $7 billion last year — 80% of which came from mobile ads. Facebook’s News Feed algorithmic changes now prioritize content from friends and family first, so the 75% of brands on Facebook that pay to promote ads will have to get creative and design visual, engaging ads to get noticed first. Twitter’s ad revenue is increasing, especially in the mobile format, and in 2017, they’ll likely continue experimenting with visual content, such as sponsored hashtag icons and stickers, to provide a variety of ad options to users. 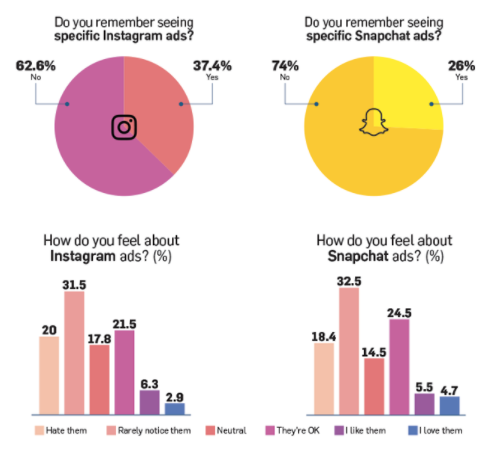 As we’ve discussed previously in this article, Snapchat and Instagram will be competing for a lot of attention this year, and advertising revenue will be no exception. Where do they stand in terms of developments? Well, Snapchat recently launched a new advertising API that makes it easier to buy ad space, in addition to a greater variety of video ads and sponsored filters. Instagram, on the other hand, is doubling down on ecommerce with the introduction of Shoppable Instagram, a feature that lets users buy products directly by clicking on a CTA in the app. In short: Marketers should experiment with ads on different platforms to see which perform better among their audience and take advantage of the cool new features each rolls out.